He progressed through the ranks to Lieutenant Colonel, 6th U.S. Cavalry and died in Texas while still on active duty. 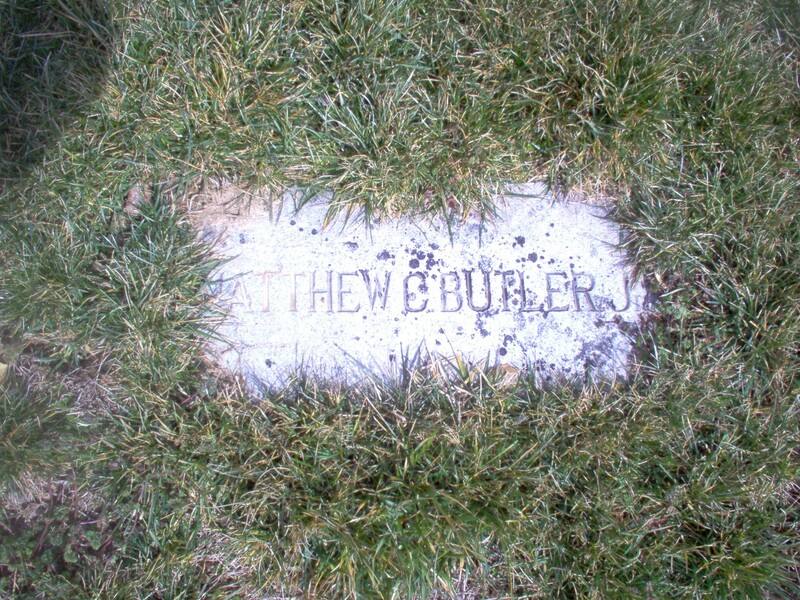 INTERESTING NOTE: Colonel Butler was the son of Matthew Calbraith Butler, Sr., who was a Major General in the Confederate States of America Army and who, after the war, served in the United States Senate. APLINE, Texas - July 21, 1916 - Mystery surrounds themotive of Harry J. Spannell, manager of a local hotel, for shooting and killing his wife and Lieutenant Colonel M. C. Butler of the Sixth United States Cavalry while thet hree were motoring yesterday evening, according to an announcement from the County Attorney tonight. Spannell, who surrendered after the shooting, refused tonight to discuss the case, and a thorough investigation disclosed no apparent motive to the killings. Spannell was driving with his wife and Colonel Butler in his car along the main residential street of town when suddently Spannell stopped the car, turned in his seat, drew an automatic pistol and a revolverand with the one began shooting Colonel Butler and with theother his wife. After emptying both weapons he got out of the car, walked to the Court House and gave himself up. As the shots rang out those who were near heard Mrs. Spannell cry "Harry, don't kill me." Before the shooting, Spannell had been chatting gayly with friends atthe Holland Hotel, of which he was theManager. Spannell was taken to another town tonight but before leaving the local jail he sobbed bitterly, bemoaning wha he termed his "madness." He persisted, however, in his refusal to discuss his reasons for the shootings. Spannell, who is 30 years old, is a nativeof Hazelton, Pennsylvania, where his parents still live. A graduate of musical conservatories in thiscountry and abroad, he was at one time an instructor in Music at Baylor University at Waco, Texas, where he met the daughterof John R. Holland, a cattleman and banker of Alpine, whom he later married. Mrs. Spannell was then a student at the university. She was 29 years old, and was known as one of the most beautiful women in Texas. 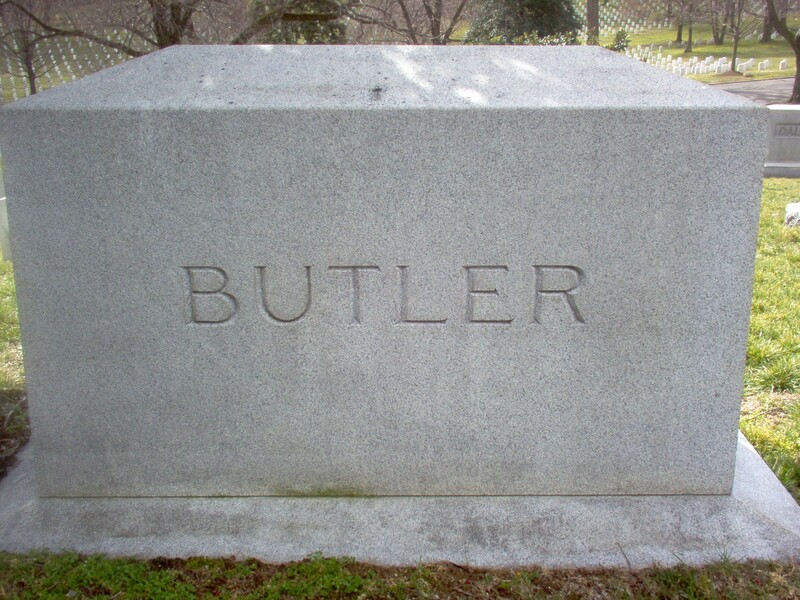 Colonel Butler's body was sent to Washington today tobe buriedin Arlington Cemtery. EL PASO, Texas - July 22, 1916 - Harry Spannell, charged with the murder of his wife and Lieuetnant Colonel M. C. Butler in Alpine Wednesday night, was brought here today and locked up in the county jail. It was feared in Alpine that cowmen might try to avenge the death of Mrs.Spannell. Spannell refused to make any statememnt, and the only sentence he has uttered sincearriving here had been the repeated request to see his little daughter, who is at Alpine with her grandfather. Spannell will be held here until hispreliminary trail is held. He was first taken to Marga, then Valentineand then brought here. SAN ANTONIO, Texas - July 25, 1916 - The official report on the killing of Lieutenant Colonel M. C. Butler at Alpine, Texas, last week by Harry Spannell completely clearst he name of the dead officer. The report transmitted to General Funston today by Colonel J. A. Gaston, District Commander, with headquarters at Marfa, says Colonel Butler was aware Spannell was jealous of his wife and took care never to be with her except when others were present. Colonel Gaston, who hurried toAlpine immeditately following word of the shootings, says Colonel and Mrs. Butlerand Mr. and Mrs. Spannell had gone to the home of a friend who was ill, and on their return to the hotel, where all lived, it was suggested that all, as a precaution, should wash their hands. Colonel Gaston says that shortly after this Spannell went to the Butlers' room and finding apparently only Colonel Butler and Mrs. Spannell there began to upbraid his wife. At this point, however, Mrs. Butler came out of the bathroom and pointed out to him that she was one of the party. Soon afterward Spannell took theColonel and Mrs. Spannell on the ride that ended on their being killed. WASHINGTON, July 22, 1916 - The War Department is taking an active interest in obtaining evidence concerning the killing of Lieutenant Colonel Matthew C. Butler of the United States Army on Thursday by Henry J. Spanell, propietor of a hotel at Alpine, Texas, where the tragedy occurred. The Department has called for reports on the killing and has sent Colonel J. A. Gaston of the Sixth Cavalry to Alpine to investigate. According to a report received by telegraph at the War Department today from Colonel J. E. Muchert of the Fourth Texas Infantry, the commanding officer at Alpine, it was Spanell who asked Colonel Butler to go on the motor ride with Mrs. Spanell and himself during which Colonel Butler and Mrs. Spanell were shot to death. Colonel Muchert describes the affair as a"cold-blooded , premeditated murder, committed by a man crazed with jealousy." 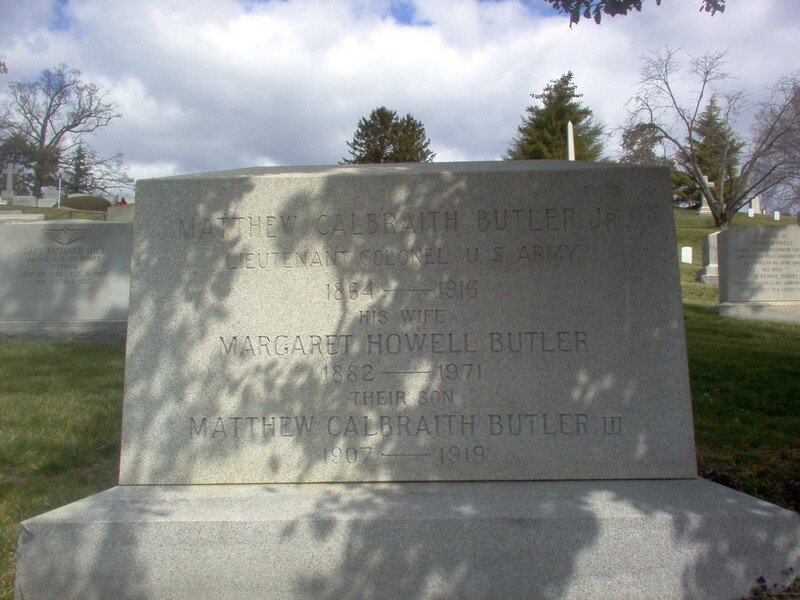 The War Department announced today that the body of Colonel Butler, accompanied by Mrs. Butler, would arrive in Washington Monday morning. The interment will be at Arlington National Cemetery. Mrs. Butler was at Alpine when the tragedy took place. COLEMAN, Texas - May 5, 1917 - A jury tonight found Harry J. Spannell guilty of the murder of Lieutenant Colonel M. C. Butler of the Sixth United States Cavalry last July, and he was sentenced to five years imprisonment. Spannell is the owner of theHolland Hotel at Alpine, Texas. 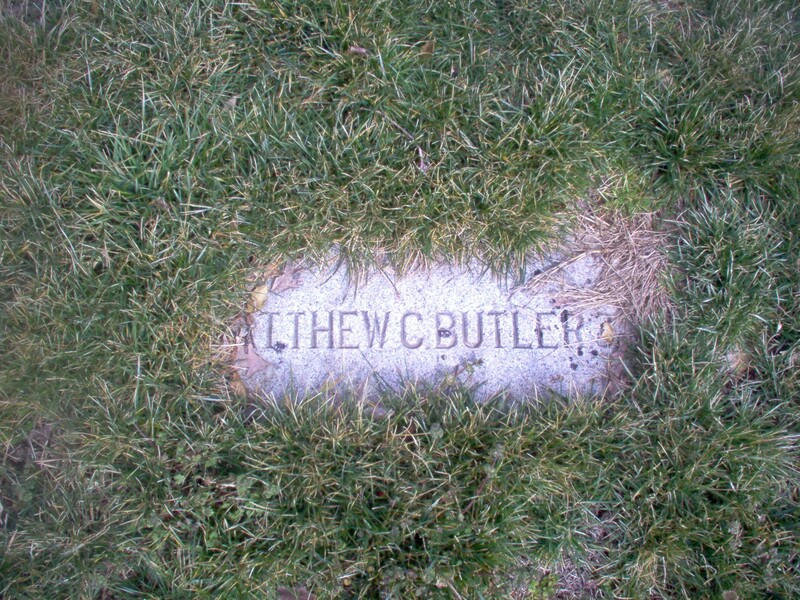 Colonel Butler stopper there while he was stationed on the border. 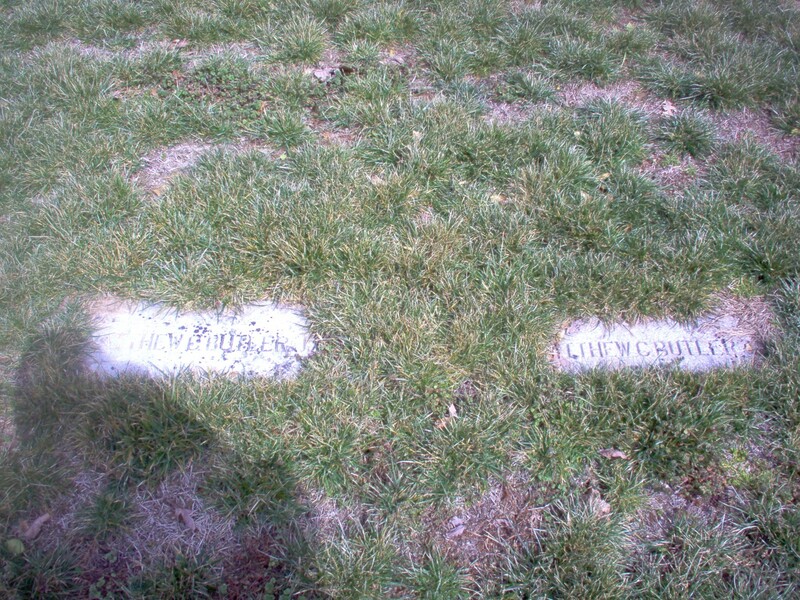 On the morning of July 20, Colonel Butler, Spannell and Mrs. Spannell went for an automobile ride, on which the Colonel and Mrs. Spannell were both shot and killed. At the time Spannell denied the shooting. After his arrest therewere various storeis of Spannell's having suspected Colonel Butler of having paid too much attention to his wife. Spannell was tried for the murder of his wife in February and acquitted, his defense being that he shot at Colonel Butler and accidentally hit his wife. At his trail for the killing of Colonel Butler, Spannell testified that he had been jealous of Colonel Butler's fondness of Mrs. Spannell.